Keith Taylor, Green Party MEP for South East England has launched a new report today on the UK housing crisis called “Everyone knows we have a housing crisis: let’s do something about it”. The report is officially launched in Oxford this evening at the Grove Auditorium, Magdalen College from 6.30pm – 8.30pm alongside guest speakers Professor Danny Dorling and author Anna Minton. Oxford is officially the UK’s least affordable city to live in. Keith Taylor will also be touring South East England over the next 3 weeks to speak about the report in Brighton, Canterbury, Winchester, Reading and Guildford. The report re-affirms the need to build more social rented homes (council housing) and argues that 8650 new social rented homes should be built across the South East region per year. Other policy recommendations include the implementation of a land value tax, council tax reform, new powers for local authorities to bring empty homes back into use and the decriminalisation of squatting in residential properties. In 2013/14, no new homes were completed by local authorities in the South East. The report argues that affordable housing needs to be redefined based on local income and not market rates. Homes in the South East now cost 12 times the average salary. The South East has seen the biggest rise in rough sleeping levels with a shocking 96% overall rise since 2010. Only 17 houses were brought back into use across the whole country in 2014 under the Government’s Empty Dwelling Management Orders. In the South East, the number deployed for 2014 was zero. Margaret Thatcher´s introduction of ‘right to buy´ council housing has led directly to a chronic shortage of social housing, and the resultant long waiting lists. “People have had enough of living in fear – not knowing how they are going to make next month’s rent. It is imperative that the debate now moves on to looking at the radical but necessary solutions to the housing crisis. It is time to move away from treating houses purely as financial assets to be shuffled around for maximum gain and instead ensure that we provide decent and affordable homes that meet people’s needs. Chancellor of the Exchequer George Osborne’s budget announcement of £1.3billion of tax cuts for North Sea oil and gas production with no new investment in renewables shows how out of touch this government is on climate change, says the Green Party, the only party truly committed to transitioning to a zero-carbon economy. The Conservative Party’s low-carbon ambitions were thrown into question today (3 March) as one of its MPs became embroiled in a row about the science of climate change and condemned further investment in renewables. During a heated political debate which was supposed to focus on how the next Government will replace the UK’s polluting power stations with green alternatives, Peter Lilley took his time at the plinth to suggest that politicians of all parties – including his own – have “enormously exaggerated” the effects of global warming. 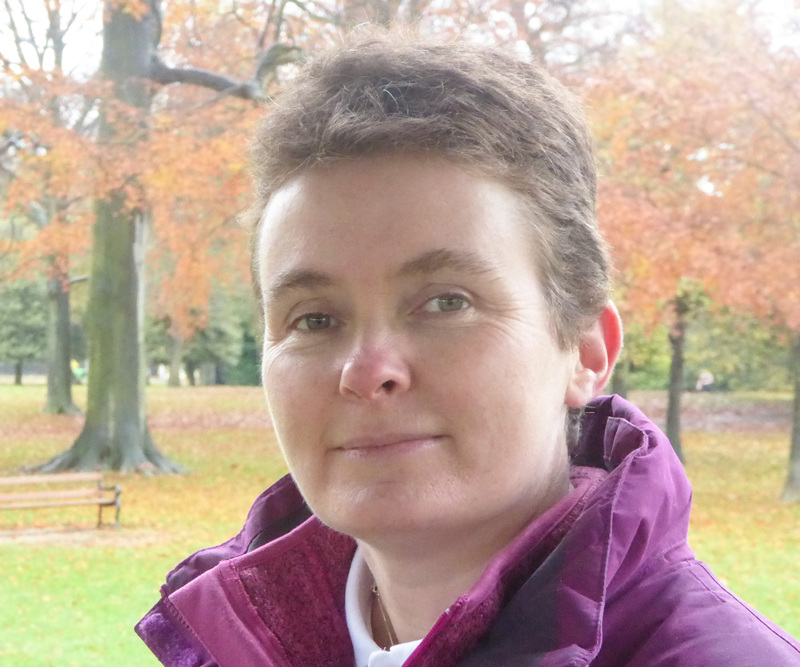 The Hitchin and Harpenden MP said there is an “extraordinary arrogance” surrounding the true cost of developing and supporting renewable energy technology, pointing out that the potential costs of implementing the Climate Change Act could be twice the amount of the maximum financial benefits for the UK. Lilley told a packed audience: “I entirely accept that if we double the amount of carbon dioxide in the atmosphere, we will, according to science, raise the temperature of the earth by one degree – but so what? It was 10 degrees cooler last night than it is now and we’ve all survived that bit of climate change without too much difficulty. On average it’s 10 degrees warmer in Singapore than it is in Helsinki, but they’re both very pleasant places to live. “Since 1997, a third of all the carbon dioxide ever emitted by mankind since the industrial revolution has been pumped into the atmosphere. Since that time, there’s been no significant perceptible change in the average temperature of the world. That doesn’t mean to say that global warming isn’t happening, it just means that it’s of the same order of magnitude as other natural factors which have offset it. The Climate Change Act commits the UK to reducing emissions by 80% by 2050, while the EU has set a target of at least a 40% reduction by 2030. The EU target includes sourcing 27% of all energy from renewables by 2030. 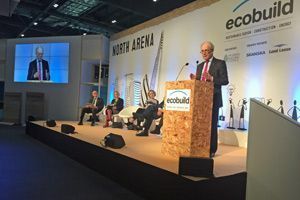 The MP was speaking on Tuesday during the Ecobuild 2015 trade show in London, as part of a panel discussion which also included Energy Secretary Ed Davey, Labour’s shadow spokeswoman for energy and climate change Baroness Worthington, and Green Party leader Natalie Bennett. The rest of the panel, which also included revered environmental professor Paul Ekins, unanimously opposed Lilley’s views. After 25 years of studying the subject of climate change, Ekins said he had come to “very different conclusions” to Lilley, stating the scientific and economic case for low-carbon electricty is “compelling” and that “we don’t need scientific certainty to take action to reduce risks”. Energy Secretary Davey added: “The Conservatives appear to have three or four different views on the subject of climate change. One thing is for certain – it is of course a risk. When you have a risk, you insure against it. Investing in low-carbon is the best and cheapest insurance that our world will ever pay to avoid the possibility of catastrophic climate change. Labour’s Worthington said: “Ed’s done a great job as Energy Minister but the coalition party includes interesting characters like Peter who are trying to drag the agenda into realms of ideology. He talks a lot about the science but there are so many inaccuracies about what he’s saying, I can’t even begin to start. Green Party leader Bennett, who recently topped a poll of sustainability professionals for showing the strongest leadership on climate change, was surprised by the Conservative Party’s decision to send a climate sceptic as its representative on a panel discussion about the UK’s low-carbon future. This is the speech given by Marion Turner Hawes Regarding Northamptonshire County Council’s Well-being Community Organisation Proposals on the 19th February at County Hall. (1) The Council’s commissioning of Prevention services since 2010 has been a shambles. In an area of people’s lives where it’s important to have consistency, interim contracts have been extended 4 times in the past 5 years. (2) The Supporting People programme had a fund of £17 million pounds and helped nearly 17,000 people in Northants to live independently at an average cost of £20 per week. It saved the public purse millions by staving off homelessness, reducing the need for people to move into care or preventing the breakdown of families. (3) Since 2010 these services have been decimated, and less than half of the people supported are still getting help. But their needs have not gone away, they are still struggling in our communities. (4) In Wellingborough 30 local partners have come together, via Support Wellingborough, and despite reductions in funding, have helped hundreds of people get the extra support then need. (5) Support Wellingborough won the Community Wellbeing Tender last November, only to see it withdrawn on 18th December, days after the Council released its ‘Next Generation’ plan. which included a completely new vision for wellbeing, and one that NO ONE had been consulted on. Indeed, this was being drafted even as the Council was awarding the contracts. This is completely indefensible. (8) Third sector partners spent almost £1.3 million pounds taking part in that process and I feel there should be an investigation into its collapse. (7) Now the Council proposes to run these services via the Wellbeing Community Organisation. But there is nothing proposed, in service terms, which wouldn’t have been created had contracts been let and many would have been ready to operate by April. (8) As a result the Council has completely alienated many of its partners and ignored the 1000’s of people using these services. (9) As for the new Wellbeing Company, it’s not clear how it will actually save money nor if it’s financial assertions are realistic, or if the business is even viable. The potential for even more public money to be wasted is very high. (10) To me the whole thing is a shambles and should act as a blueprint of how NOT to work with people and communities. (11) I call on the Council to abandon this project, and encourage it to support the people and organisations who do have a clear vison to improve Wellbeing, to get on with the job. You are currently browsing the The Northants Green Party Blog blog archives for March, 2015.